Ants! Thousands of them crawling around your windows, on the floor, in your bed, and even on you! Want to know how to get rid of ants? First and foremost, it’s best to call Absolute Pest Control and schedule an appointment for them to come and properly get rid of the ants. But what can you do to alleviate the situation before Absolute can come to your house? The first step in how to get rid of ants is to pinpoint the location the ants use to enter your house. Walk around outside and see if you see an anthill with a trail leading to your house. After you find the ants’ entry point, use something to prevent any more ants from reaching the house such as petroleum jelly or talc. This will prevent any more ants from entering your home. 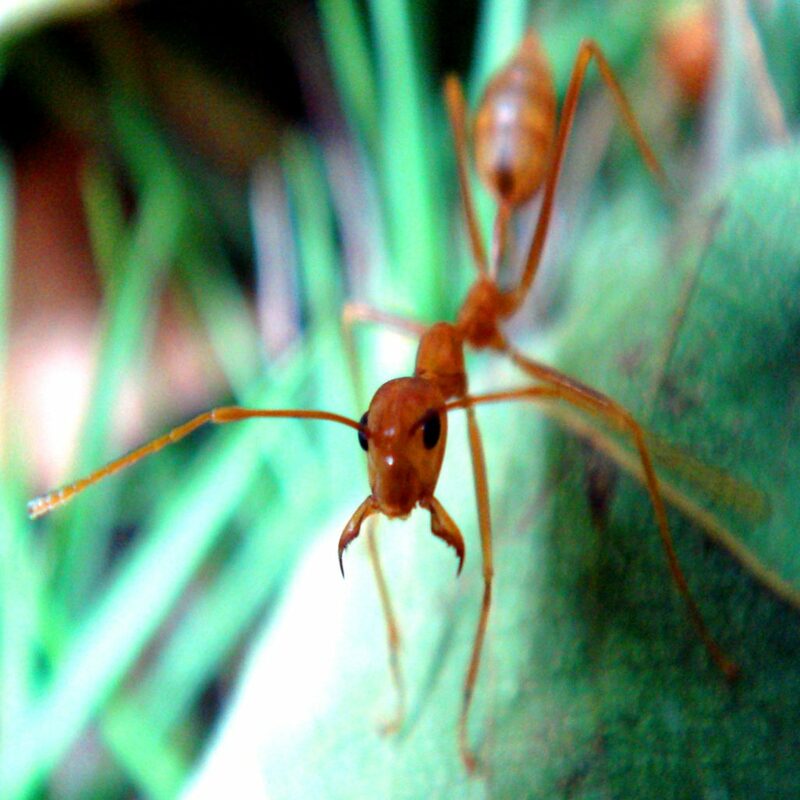 Use a wet towel or sponge to wipe up the line of ants coming from the anthill. Spray the trail with ant killer or any household cleaner, but make sure you get the entire colony. Once you’ve prevented any more ants from entering your home, kill any single ants you may find. These are called “scouts” and if they make it back to the colony, they’ll tell all the other ants where their food source is. Find out where the ants are gathering inside your home and use a boric acid/sugar/water solution to lure them out. This works as both a bait and an insecticide. If you see any more ants, sprinkle some talcum powder around and then vacuum them up. To prevent ants from reaching certain areas of your house, you can mix a teaspoon of rubbing alcohol, two teaspoons of liquid soap, and water. This will act as a deterrent the ants. This will greatly help you know how to get rid of ants, but it is far from a perfect solution. While effective, these steps are only a temporary fix. There may be quite a few more colonies outside and inside your home, and you are bound do miss a few of them, so it is extremely important that you call Absolute and schedule an appointment so that we can properly and permanently get rid of ants so you can enjoy yourself and your home without worrying about those pesky insects. Again, follow the 9 steps to get rid of ants and prevent them from getting inside. To get started on making your home ant-free call Absolute Pest Control at 615-220-1933 or click here to schedule an appointment today!